Looking for an Early Ford Bronco restoration that’s nearly identical to how you’d find it in the showroom… four decades ago? 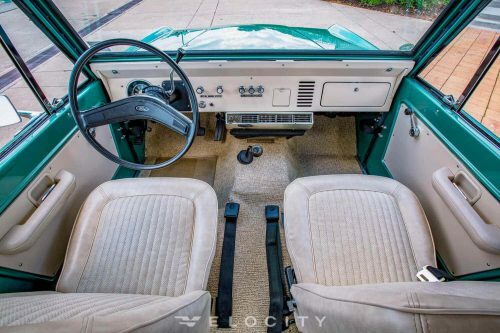 That’s how you’ll find this immaculate ’77 Bronco. It retains the classic look, feel, and equipment from an era long past. And it could be your pride and joy. Everything on this Bronco appears period correct, from the refinished painted frame to the factory suspension height. Under the hood is a fresh 302 V8 engine mated to a C4 automatic transmission. And the custom paint finish may not be exactly what the brochure offered, but it certainly fits the era.